The Datanauts travel to a galaxy of artificial intelligence and machine learning. The good ship InfoSight is piloted by sponsor HPE Nimble Storage as we explore automating infrastructure on today’s episode. Our guest is Ryan Brown, Enterprise Storage Architect and Chief Technologist for Storage in Canada at HPE. 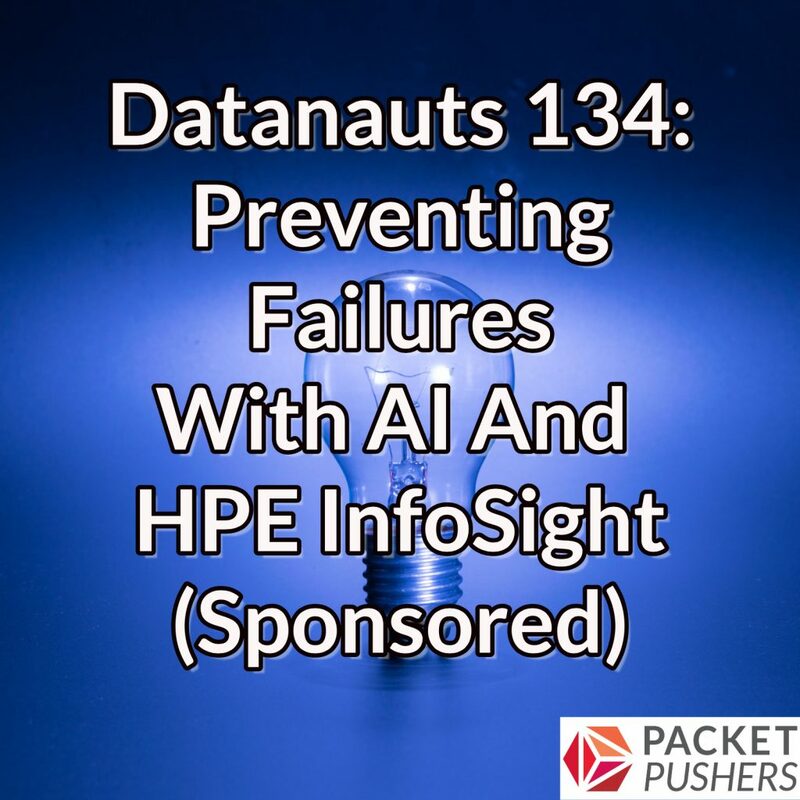 We talk about InfoSight, HPE’s cloud-based predictive analytics platform that works with HPE’s Nimble Storage arrays, and soon to work with other products from HPE. InfoSight applies machine learning and AI to help customers better manage storage resources and predict problems before they affect the business. We look at the kind of information that InfoSight gathers, how it collects that information and ships it to the cloud, and how it’s protected. We also delve into the value that InfoSight can provide for resource allocation and operational benefits such as preventing outages, maintaining uptime, and improving performance.